Perrycroft is an Arts and Crafts house designed by the architect C F A Voysey and built in 1895 for eminent Birmingham industrialist J.W.Wilson, MP. Perrycroft represents an Edwardian ideal, a dream house set in the magnificent scenery of the Malvern Hills, embellished by a lodge, and with stables and coach house around a small courtyard, all designed by Voysey to complement the house. Today Perrycroft stands remarkably untouched by time, a romantic and secluded haven high on the west side of the Malvern Hills with magnificent views over rolling Herefordshire towards Wales. When John Wilson bought the land on which Perrycroft was to be built in 1893 it amounted to some 80 remote acres on the west side of the Malvern Hills above the village of Colwall. 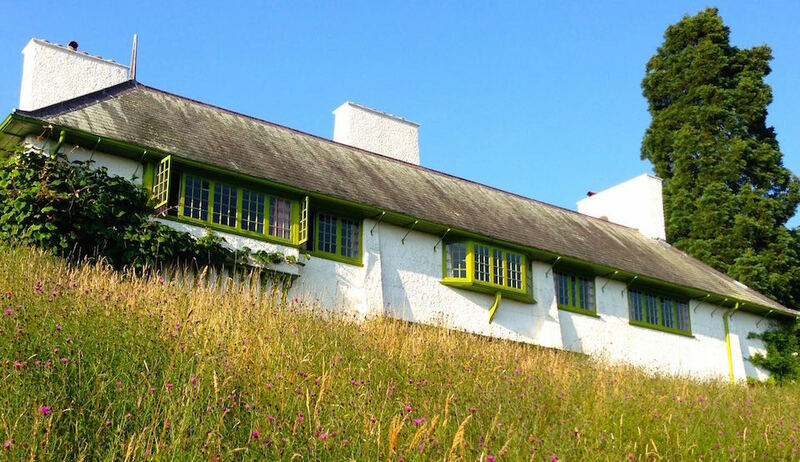 It is easy to imagine that Voysey was instrumental in choosing the exact site for the house and its surrounding garden, as the focus of the whole estate is the spectacular Herefordshire Beacon, otherwise known as British Camp, an Iron Age hill fort. Perrycroft enjoys an unique view of the Camp, looking south on to its most distinctive profile. The present garden, restored over the last 15 years, extends to about 10 acres. With formal and informal garden rooms, topiary, herbaceous and mixed borders, meadows, ponds and woodland there is something for everyone to enjoy in all seasons. Perrycroft Garden is open by appointment all year to groups and individuals. There is an entrance fee of £5 per visitor; children are free. Dogs are welcome on leads. 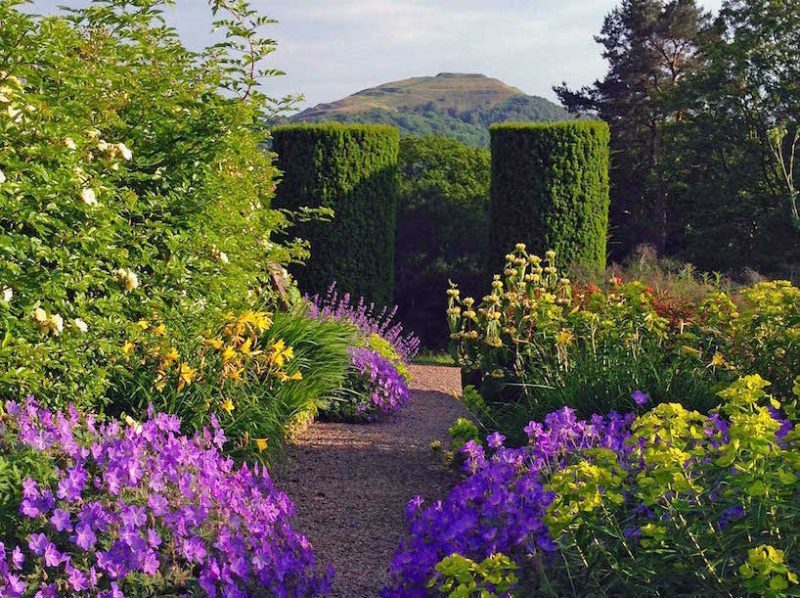 The garden is also open on certain days a year for the National Gardens Scheme. The dates vary from year to year, so please consult the NGS website or Yellow Book for details. We regret that parking at Perrycroft is offered only to visitors with limited mobility by prior arrangement. Otherwise, please park in Gardiner’s Quarry pay and display (£4 per day) a very short walk from the garden. Coaches may use the car park at British Camp. Both car parks are owned and managed by the Malvern Hills Conservators. Refreshments for groups of 10+ can be arranged in advance. Please email to gillianarcher@live.co.uk or telephone 07858 393767 for details. Visitors are also welcome to picnic in the garden by prior arrangement.